“The scholars are the heirs of the Prophets, for the Prophets do not leave behind any dinars or dirhams (i.e., wealth), but they leave behind knowledge. Whoever receives this knowledge receives abundant good fortune.” (Reported by al-Tirmidhi, 2606). “Whoever Allaah wishes good for, He enables him to understand the religion properly.” (Reported by al-Bukhaari, 69). ‘Allaah does not take knowledge away by taking it away from people’s (hearts); He takes knowledge away by taking away the scholars (i.e., when scholars die), and when there is not one scholar left, the people will turn to ignorant leaders who, when they are consulted, will give fatwas without knowledge. They are misguided and they misguide others. '” (Reported by al-Bukhaari, 98). “There will come a time when a man will fatten his mount in preparation for travel, and will travel through different countries asking for someone to give him knowledge of the Sunnah that he could follow, and he will not be able to find anyone to give him a fatwa except with uncertainty, and this has indeed happened.” (Adapted and summarized from Fath al-Baari). “Find out what there is and write it down, for I am worried that knowledge will disappear when the scholars pass away… spread knowledge and sit down to teach the one who does not know, for knowledge does not disappear unless it is kept secret.” (Saheeh al-Bukhaari, Kitaab al-‘Ilm, Baab Kayfa yuqbad al-‘ilm). 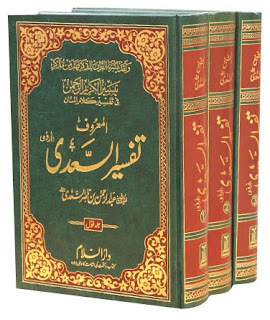 “People need knowledge more than they need food and drink, because they need food and drink two or three times a day, but they need knowledge all the time.” Thus the loss of scholars is a great calamity, “because the death of the entire tribe is less serious than the death of one scholar.” (Majma’ al-Zawaa’id, 1/201). Today, Thursday 27 Muharram 1420 (May 13, 1999), Islam and its people have been grieved by the death of the great scholar, father and capable teacher, Shaykh ‘Abd al-‘Azeez ibn Baaz, and the end of a blessed life lasting eighty-nine years, one month and fifteen days, a life filled with obedience to Allaah and service to Islam and the Muslims. Allaah says, ‘If I take away a person’s two beloved (eyes), and he bears it with patience and the hope of reward, he will have no less a reward than Paradise. '” (Reported by al-Tirmidhi, 2325. He said, this is a saheeh hasan hadeeth). He was as strong as he could be when it came to issues of Islam. When one of the oppressive rulers said that there were myths in the Qur’aan, such as the People of the Cave and the staff of Moosa, Shaykh Ibn Baaz wrote to him explaining that this statement was tantamount to apostasy and unbelief. When the ruler’s secretary wrote to tell him that this is not what was intended, and that the man retracted what he had said, Shaykh Ibn Baaz wrote to him to tell him that if he was sincere, he should announce his repentance publicly just as he had announced his kufr openly. The Shaykh also denounced those who rejected the Sunnah, and the followers of falsehood and bid’ah, by refuting all their claims. He wrote warnings against observing innovated and unIslamic celebrations, such as celebrations of the Prophet’s birthday, the anniversary of the Isra’, the middle of Sha’baan, and other innovations that were not commemorated by the Prophet (peace and blessings of Allaah be upon him) or his Companions. He watched the signs of evil and issued warnings about them with no delay, such as satellite dishes and journeys abroad, and the harmful effects of music and movies on the youth of Islam. He wrote about the dangers of wanton display, unveiling and free mixing, out of a sense of jealousy and honour for the sake of Allaah and concern for the honour of the believing women. 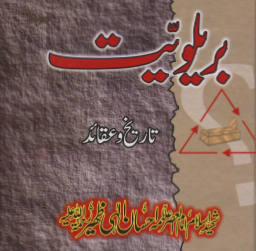 This and other writings showed his awareness of the ummah’s issues and his concern for the people’s wellbeing. He was an imaam and mujtahid who, with the knowledge, understanding and insight that Allaah bestowed on him, gave fatwas on matters of major import and difficult, thorny issues. He was also the head of the Islamic Fiqh Council (Majma’ al-Fiqh al-Islami) which issues fatwas concerning serious contemporary matters. His fataawa on divorce are indicative of his depth of understanding and ability in making ijtihaad. His fatwas were based on compassion and understanding, and this was a great blessing to many people, male and female alike. He was a mujaddid who combined knowledge of fiqh with knowledge of hadeeth. 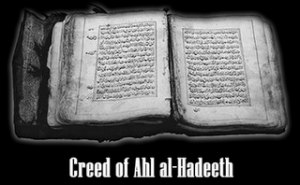 He knew about hadeeth and their degrees of soundness. He had memorized many volumes of ahaadeeth; he knew all about their narrators and the correct pronunciation of their names. Texts would be proofread and corrected with his help, even though he was blind. He was an ocean of knowledge, conversant with the opinions of different scholars and never at odds with any of them. One could hardly find any odd or strange fatwa from him. He took the middle path between two sides, those who focus on hadeeth and do not pay due attention to fiqh or the opinions of the scholars, and those who focus on fiqh and the opinions of the fuqaha’, and do not pay due attention to the hadeeth. He used to combine the advantages of both fields of knowledge, fiqh and hadeeth. He was the leader whose opinion was decisive; all disputing parties would accept his opinion. Scholars might engage in a discussion in his presence, but when he spoke, that would be the end of the dispute – they would accept and follow his opinion. They gave him two votes where other members of the Fatwa Committee (Lajnat al-Fatwa) had only one. With regard to the ordinary people, many of them would accept only Shaykh Ibn Baaz’s fatwa. If there were varying scholarly opinions on an issue. An ordinary man might say, “That is enough, give me a break! What does Ibn Baaz say?” One of the greatest blessings brought about through him is that the scholars and common people alike would accept him as a leader. This is a distinction which may not apply to anyone else in our time. He was very pious and trustworthy. He could be trusted with millions given in charity and zakaah by Muslims, which he would strive to dispense of in the appropriate ways. It is no exaggeration to say that what was spent through him was more than a thousand million. He used to take care of his students. When he taught in al-Kharj, he asked for accommodation and stipends for them. He would hold classes and halaqahs for them after Fajr, after Zuhr, after ‘Asr and between Maghrib and ‘Isha’. Some of his students who used to read Tafseer Ibn Katheer to him between Maghrib and ‘Isha’ mentioned that often he would be so moved by what was read that he would weep, and sometimes he would weep for so long that the lesson was prolonged, without him realizing it. As soon as he realized, he would end the lesson and they would pray ‘Isha’. He would engage in discussion with his students, especially in matters of inheritance. He would check on their circumstances and try to help them, and he would go with them on trips outside the city. He never forgot to pay attention to their need for physical exercise, such as running and having races, as was related in the Sunnah, in the hadeeth of ‘Aa’ishah and Salamah ibn al-Akwa’. There are very few people who can be appointed to positions of high rank without altering and becoming arrogant oppressors. He was a skillful administrator who was appointed to the administration of the Islamic University in Madeenah, the Bureau for Academic Research and Fatwas and the Organization of Major Scholars (Hay’at Kibaar al-‘Ulama’). He was a man who was well organized with regard to his time, work, lessons, food and meetings. He would pay due attention to all matters and all people. He was behind many charitable projects such as building mosques and institutions for the memorization of Qur’aan, Islamic centres and Sharee’ah institutes. One of his greatest achievements was his effort to establish departments for religious affairs in all government departments and offices, to organize lectures and channel questions and requests for fatwas. Because of this, so much good was done, the true extent of which is known only to Allaah. We ask Allaah to make his good deeds weigh heavily in the Balance because of this. He used to remember Allaah very often, even when eating and between mouthfuls. He often used to say “Laa hawla wa laa quwwata illa Billaah (there is no strength and no power except with Allaah),” and he would send blessings on the Prophet (peace and blessings of Allaah be upon him) very frequently. If someone spoke nonsense in his presence, he would tell him, “Sabbih, sabbih! (Glorify Allaah i.e., say Subhaan Allaah)”. He would often remain silent, deep in thought, and when he listened to someone, he would incline his head and listen intently. He had remarkable powers of discernment and could distinguish those who were telling the truth from those who were lying. He also made good choices when selecting people to do various jobs. Allah blessed him with acceptance throughout the world. One of those who are involved in da’wah said that he went on a trip to one of the nations in central Africa. “We met an elderly woman who asked, ‘Where are you from?’ We told her through the interpreter that we were from Saudi, and she said, ‘Convey my salaams to Shaykh Ibn Baaz. '” Some of the poor people from Nepal who came to look for work in Saudi asked some contractors about Shaykh Ibn Baaz. He was always fair to his two wives, and would pray Sunnat al-Maghrib in the house of the wife in whose house he was spending the night. The number of times he interceded on behalf of others is uncountable. He paid the “zakaah” for his high standing, just as he paid the “zakaah” for his knowledge, in accordance with the words of the Prophet (peace and blessings of Allaah be upon him), “Intercede, and you will be rewarded.” He interceded for old and young and workers. How many students were accepted in universities, how many poor people were given charity and how many workers were able to bring their wives to the Kingdom because of his intercession. He worked for fifty-eight years and never even took one holiday. He never slept for more than four or five hours in a day. He was entitled to retire with a full salary twenty years ago, but he continued to serve Islam and to strive in support of the religion. After he fell sick, whenever the pain got too much for him, once he recovered, he would say to the scribes and assistants around him, “Carry on and read to me what you have.” So they would read the letters, messages, issues of divorce and objectionable things, and pleas for intercession, etc., that would help the country and the people. Innaa Lillaahi wa innaa ilayhi raaji’oon. Allaahumma ajurnaa fi museebatinaa wakhluf lanaa khayran minhaa (To Allaah we belong and unto Him is our return. O Allaah, recompense us for our affliction and replace it for us with something better). “That Day it [the earth] will declare its information (about all that happened on it of good or evil), because your Lord has inspired it.” [al-Zalzalah 99:4-5 – interpretation of the meaning]. Two kinds of enemies of Allaah will rejoice at the news of his death: the hypocrites who want to remove Islam from people’s lives, and the confused followers of bid’ah and desires. Firstly: the death of the Prophet (peace and blessings of Allaah be upon him). ‘Aa’ishah said: “The Messenger of Allaah (peace and blessings of Allaah be upon him) opened a door of his house or pulled back a curtain, and saw the people praying behind Abu Bakr. He gave thanks to Allaah because he saw that they were fine, hoping that Allaah would compensate them for their loss of him with something like what he could see. He said, ‘O people, when any one of the people or of the believers is stricken with a calamity, let him console himself with the thought that this calamity [i.e., the death of the Prophet (peace and blessings of Allaah be upon him)] is greater than whatever he is going through. After my death, no member of my ummah will ever be stricken with a calamity greater than the loss of me.” (Reported by Ibn Maajah, 1588; Saheeh al-Jaami’, 7879). Secondly: we know that Islam does not depend on any one person. Allaah is Merciful and He will provide for this ummah someone who will guide it and lead it in the way of knowledge, justice and the legacy of the Prophet (peace and blessings of Allaah be upon him). Fifthly: the dreams that have been seen about him, which are a good sign about him and are one of the parts of Prophethood, as the Prophet (peace and blessings of Allaah be upon him) said. Just now I was told about a woman who dreamt, on the night that the Shaykh died, that she saw a light being taken from earth and raised up to heaven. When she woke on the morning ,she heard that the Shaykh had died. O Allaah, forgive ‘Abd al-‘Azeez ibn Baaz, have mercy on him, make his grave wide and fill it with light. Raise his status among the guided and above many of Your creation on the Day of Judgement. Forgive us and him, O Lord of the Worlds. Admit him to a place of honour on the Day of Resurrection. O Allaah, compensate the Muslims with good, for You are the All-Hearing Who answers prayers and You are Ever Near.